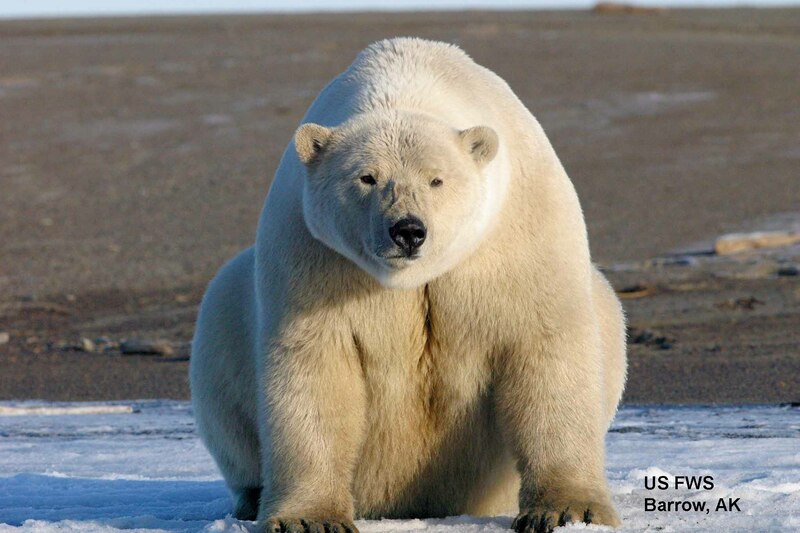 The Davis Strait polar bear subpopulation is said to be ‘vulnerable’ to the supposed effects of global warming because, like Hudson Bay, Davis Strait sea ice retreats every summer, leaving polar bears on land for several months. 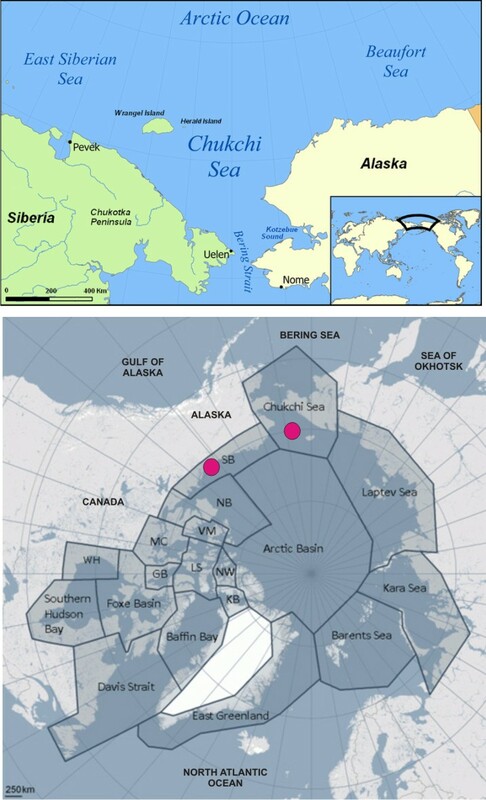 However, Davis Strait bears have been upgraded to ‘stable’ status, according to the latest table (2013) issued by the IUCN Polar Bear Specialist Group (see their boundary map for Davis Strait bears below). 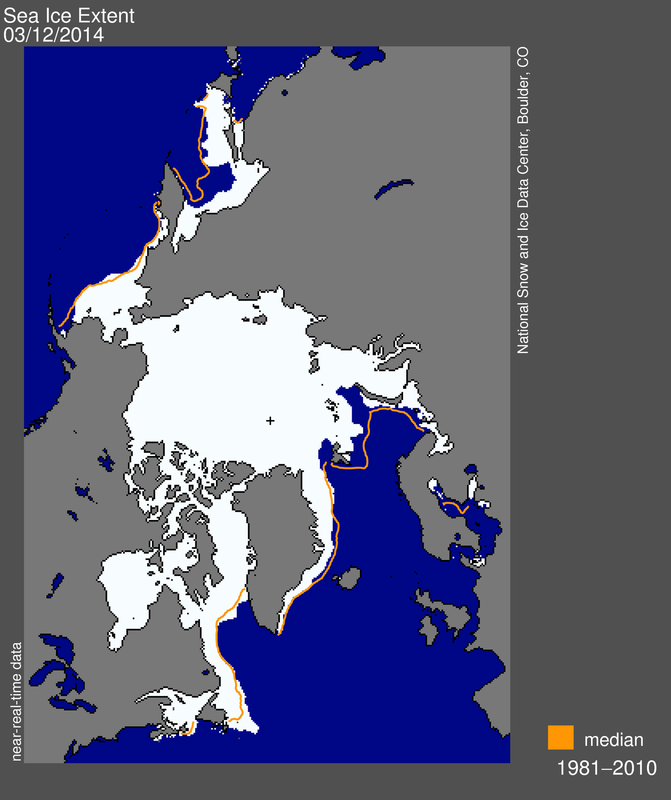 Recent development of sea ice in the region can only improve that rating. 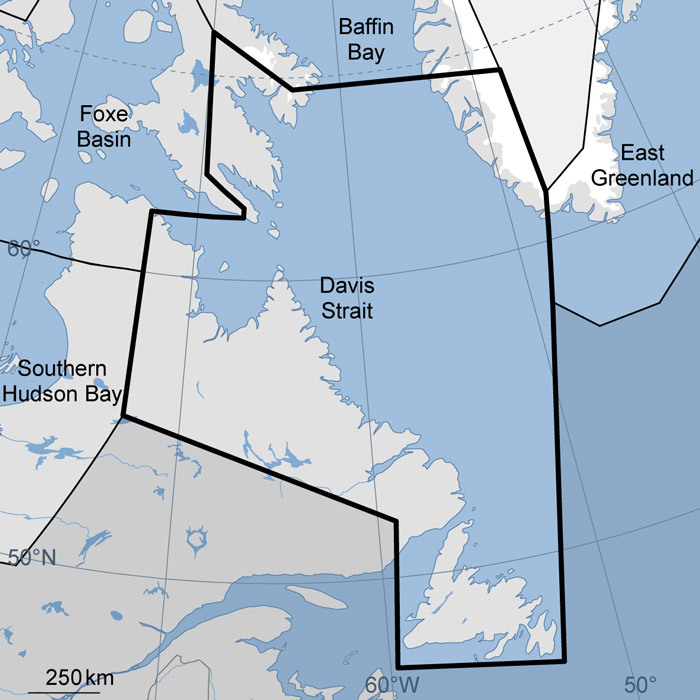 It seems that sea ice in Davis Strait is well above normal for this time of year – a recent announcement by the Canadian Ice Service (CIS) says it’s 10% above average, higher than it’s been in 25 years (h/t S. Goddard). “The Canadian Ice Service, an arm of Environment Canada, said there is 10 per cent more ice this year compared to the 30-year average. “We probably haven’t seen a winter this bad as far as ice for the past 25 years,” said Voight, referring to both the amount and thickness of the ice. Latest ice map (March 12) below from the US National Snow and Ice Data Service (NSIDC). 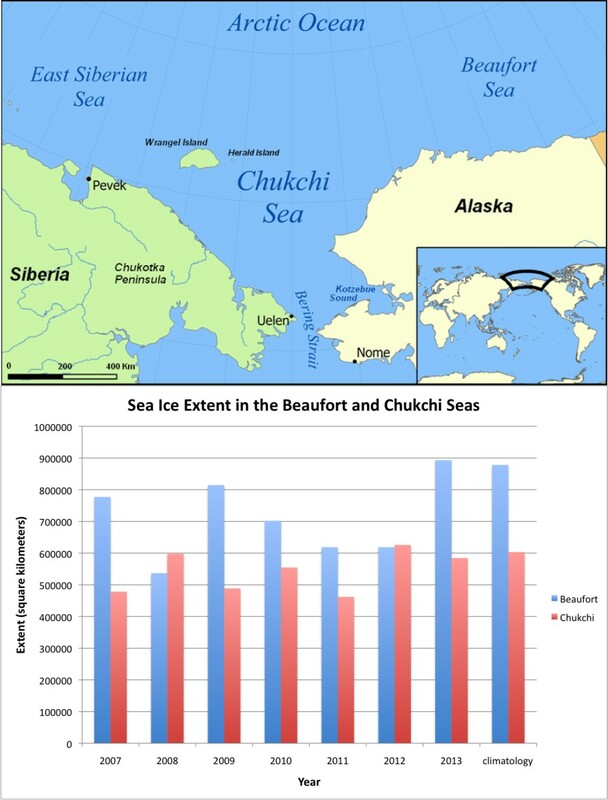 As I pointed out recently here, Barents Sea ice is below average this year, largely due to natural variation in the Atlantic Multidecal Oscillation (AMO), but is higher over the western Atlantic (Sea of Okhotsk ice is below average too but there are no polar bears there). There is lots of ice around Labrador and Newfoundland, however.